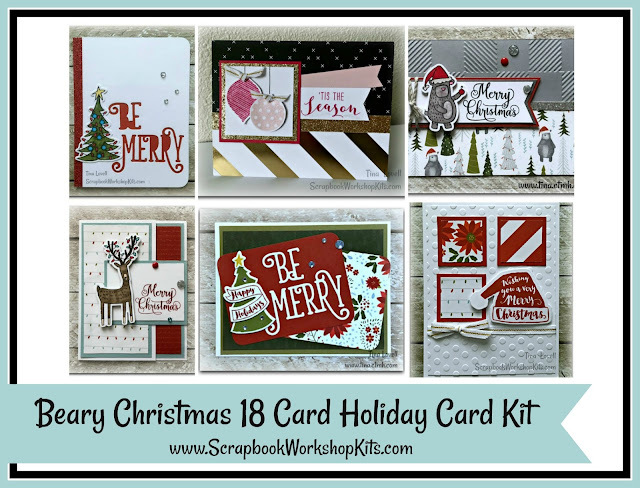 I just finished prepping this years Christmas Card kits and I am super happy with them. This years kits feature the Beary Christmas and Silver & Gold papers and will allow you to create 18 cards.... 3 of 6 different designs. How is that for fun! You won't get bored creating the same card over and over. All materials are stamped, pre-cut and ready to assemble. A few images do require coloring and I recommend using our ShinHan alcohol markers. If you don't currently have any, you can get some here, including our entire set which also includes a FREE Marker Roll-Up to hold the markers. 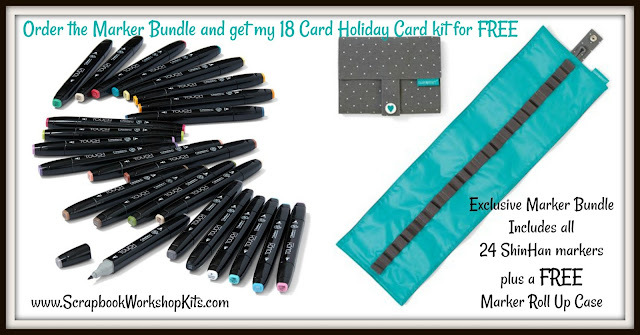 If you do decide to purchase the Marker Bundle, I will send you the card kit for FREE! What an awesome way to get a wonderful collection of Alcohol Markers, a case for holding them all AND a Christmas card kit. Be sure to contact me if you would like to take advantage of this offer. ** Card kits are shipped in a Small Flat Rate Priority mail box to ensure they arrive safe and sound and in perfect condition.